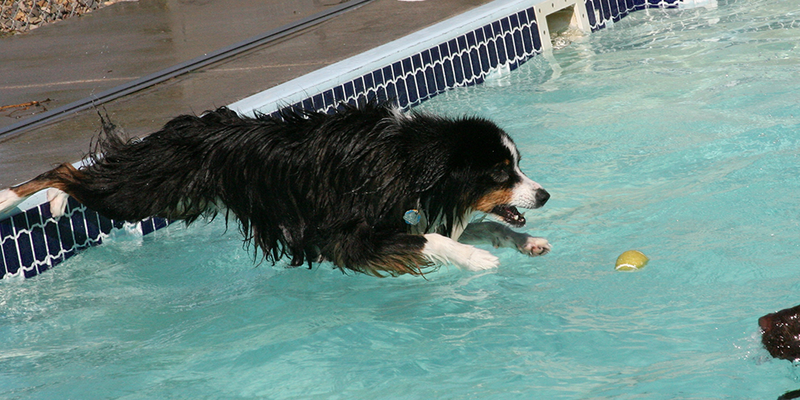 We have a 34-ft. in-ground, heated swimming pool that is open mid April – mid November. 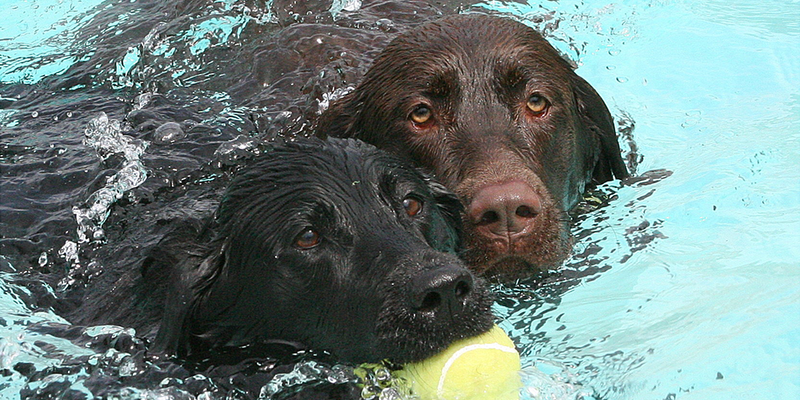 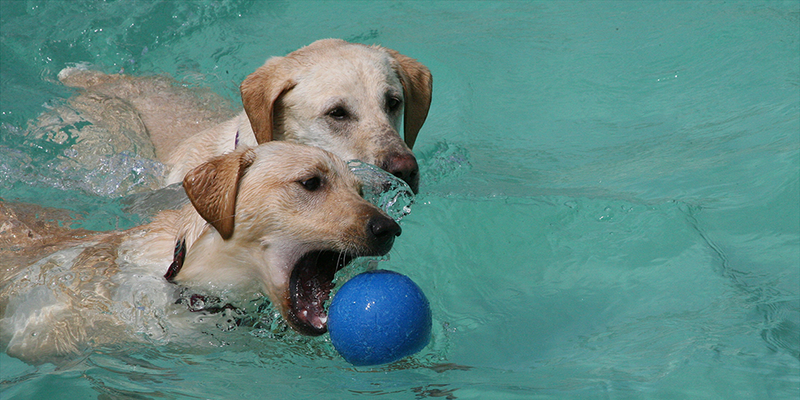 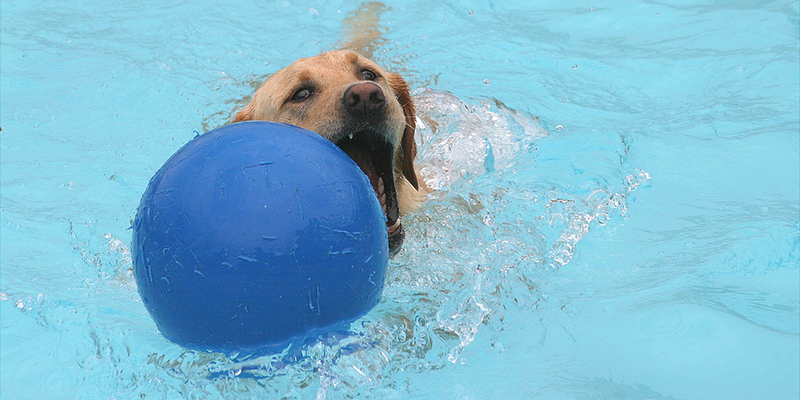 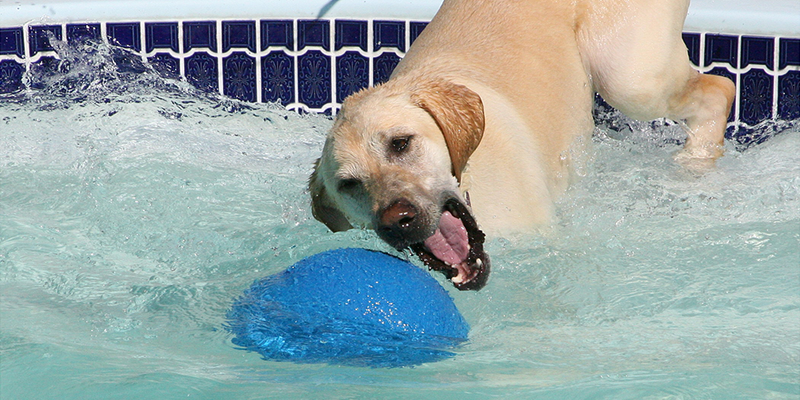 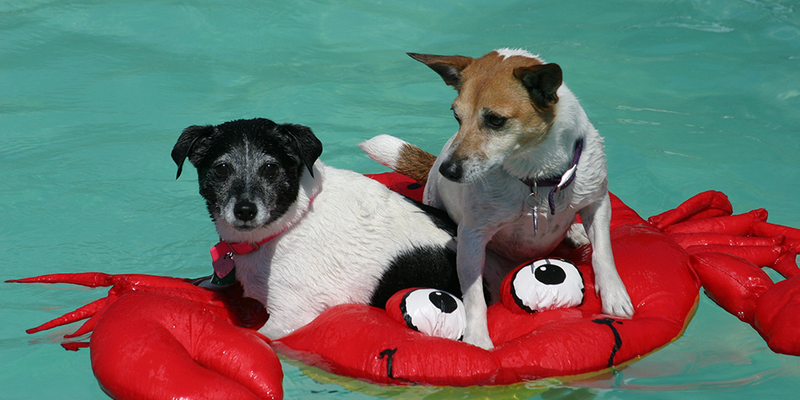 The dogs love lounging on the floaties, leaping in after tennis balls, or pushing the jolly ball around. 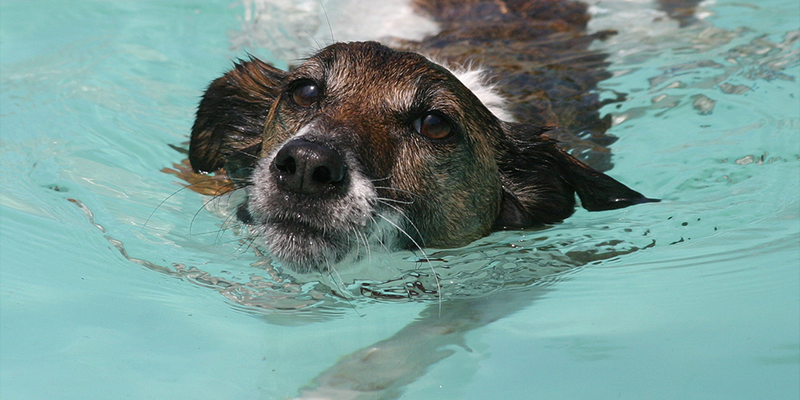 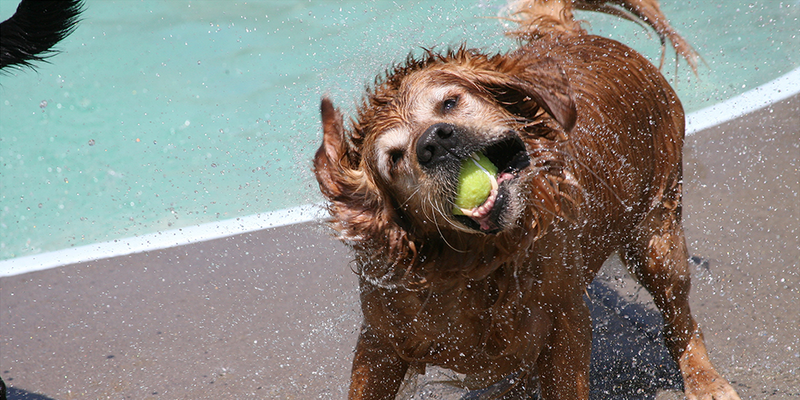 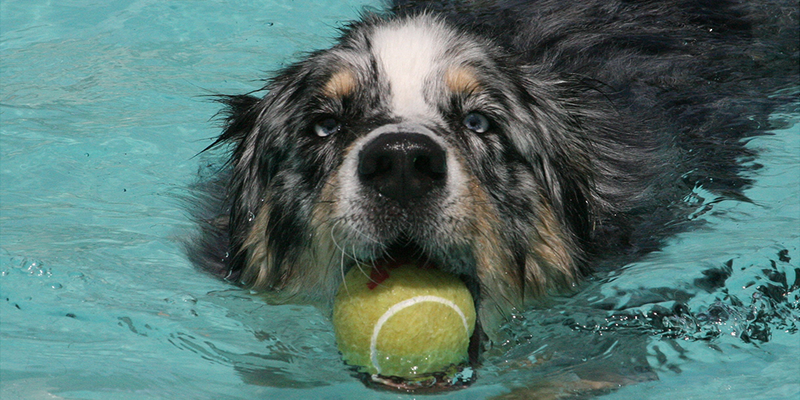 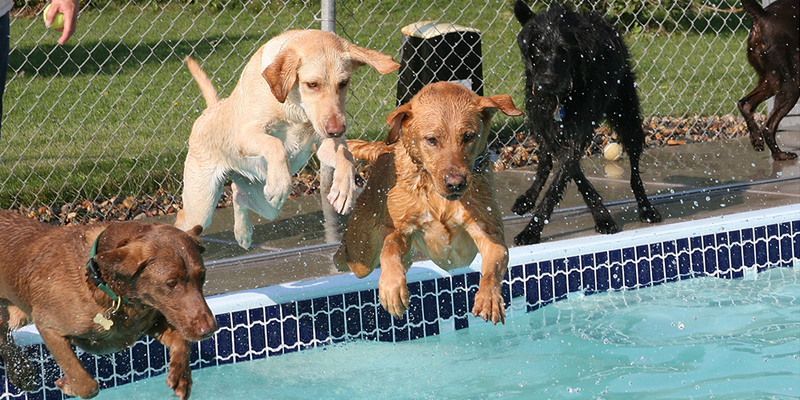 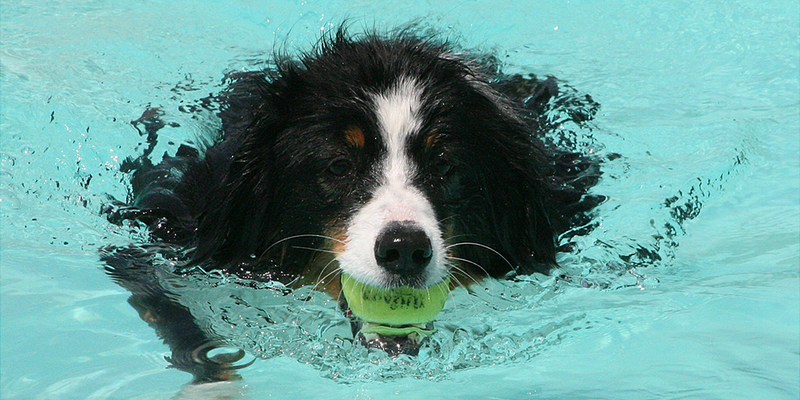 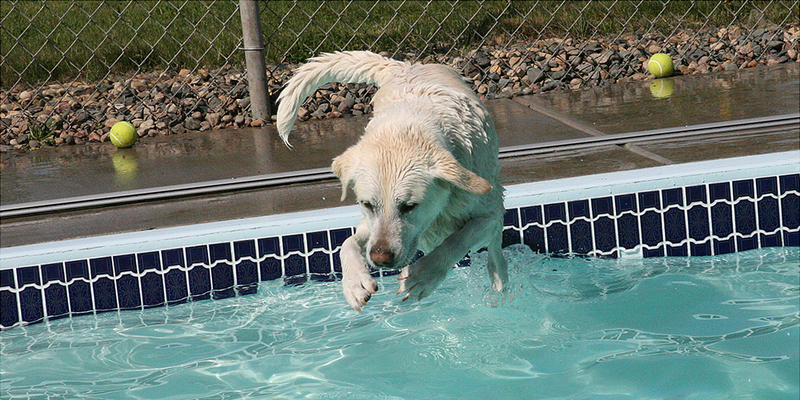 All dogs have the opportunity to swim and we introduce them to the pool in a safe and non-threatening way. 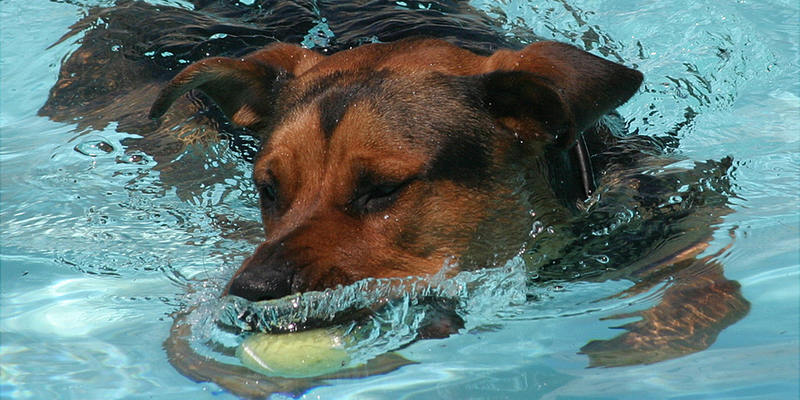 We get in the pool with them and in some cases “help them to discover” that they can swim. 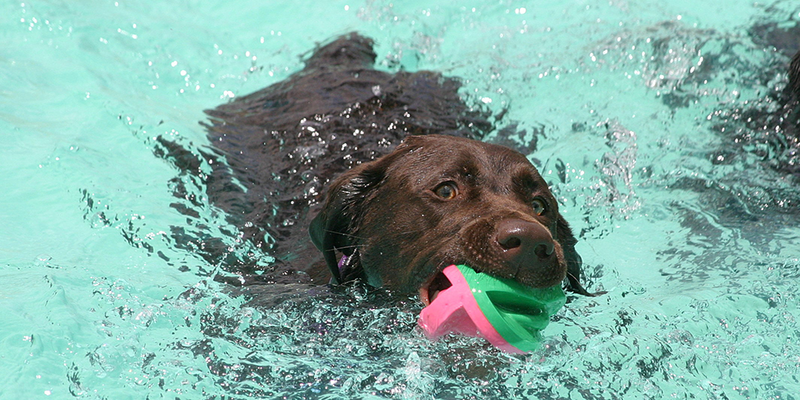 We rotate play groups during pool season . 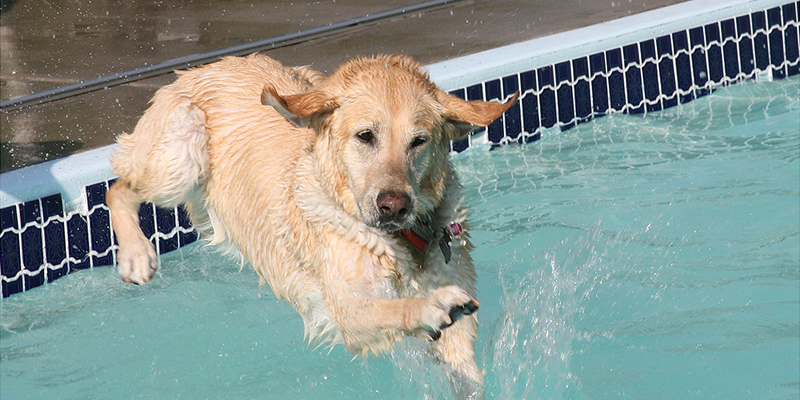 . . to let the big, furry guys dry off before coming inside, and so that all dogs have the opportunity to swim. 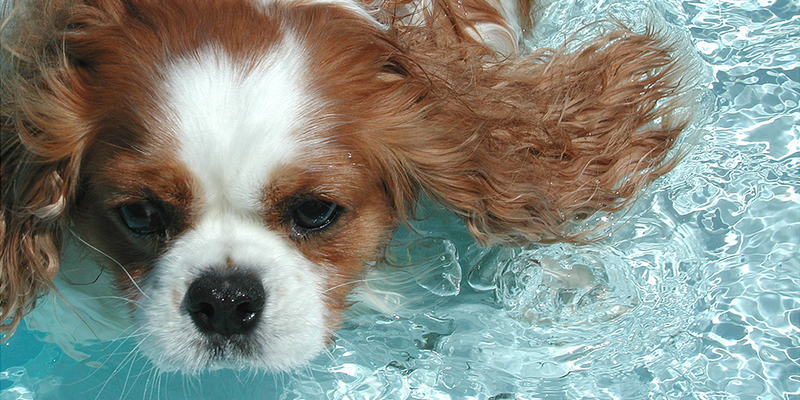 We also have kiddie pools for those dogs that just want to get their paws and bellies wet. 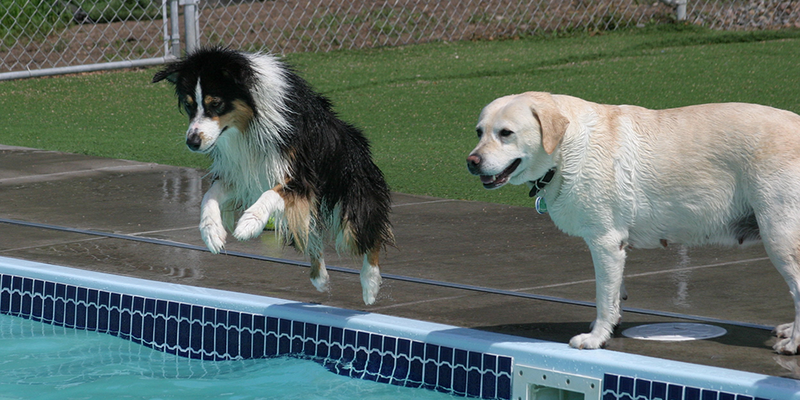 A life guard is always present.